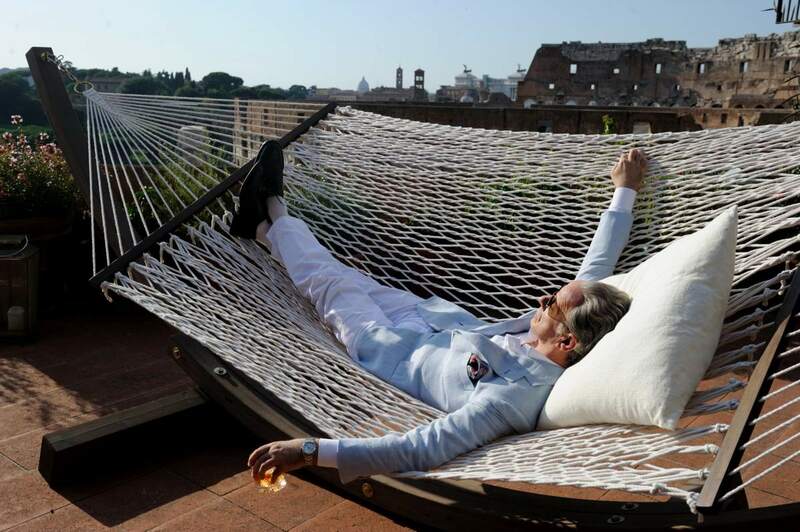 After directing the interesting "Il Divo" and the uneven "This Must Be the Place," filmmaker Paolo Sorrentino reaches an infinitely superior result in this his new movie, "The Great Beauty." Chosen as Italy's representative for the 2014 Oscars, the film sounds almost like a "Fellinian" exploration of Berlusconi's Italy, combining Fellini’s types (and some traces of his style) with contemplative passages whose voiceovers seem to be trying to emulate the sensitivity of Terrence Malick—a mix which is more appropriate than we might at first imagine. Co-written by Sorrentino and Umberto Contarello, the film begins with small scenes that intertwine the birthday celebration of writer Jep Gambardella (Toni Servillo) and some Japanese tourists' visit to Rome. While one of them dies while contemplating the wonderful city, we are introduced to Jep's circle of friends, which includes: Roman (Carlo Verdone), a man desperately in love with a former actress who never tires of humiliating him; Viola (Pamela Villoresi), whose eldest son allowed his fascination with Proust to affect him more than it should; Stefania (Galatea Ranzi), who does not miss any opportunity to judge her friends as intellectually and politically handicapped beings; and Dadina (Giovanna Vignola), the editor of a magazine who, being a dwarf, is proud to keep something of her childhood by still seeing the world from the point of view of the children. From these figures, the film constructs a narrative that is more concerned with the exploration of certain themes than with developing a story. Photographed by Luca Bigazzi with a clear interest in referring to the stylistic choices of Fellini—which can be observed in the frequent close ups and in the wide angle lens that slightly deform these shots—"The Great Beauty" replaces Fellini's circus types with representatives of certain classical stereotypes from the haute bourgeoisie, referring, in this sense, to the concept of "typage" used by the Soviet Cinema from the 1920s. Primarily interested in themselves, these individuals reflect a society that opted to dismiss Che Guevara as symbol and replace him with Steve Jobs. So it's no surprise when a socialite who describes her profession as "being rich" ("It's a great line of work", notes Jep) soon explains that she likes to take photos of herself in order to "know herself better" and that, of course, these pictures attract "several compliments on Facebook." Likewise, if in the past intellectual curiosity seemed to be what distinguished journalists, writers and poets, today—as the movie points out, correctly—they are more interested in the "appearance" of culture and intelligence, which results in the spread of a blasé attitude that disguises their insecurity and is characterized by trying to diminish those who really strive to grow intellectually, culturally and politically. It's no wonder that one of the characters loves to say that she does not own a TV set and only likes "Asian jazz," attributing to herself a specialized knowledge that protects her from the scrutiny of others and satisfies her desire to consider herself special. Always able to cynically observe these traits in his friends, Jep is proud to be an outsider in high society, having bought his entry thanks to the success of his only and celebrated book, written 40 years ago, which doesn't preclude his being considered at the center of this social circle—a position that allows him to "make a party fail" if he so wishes. But Jep is also building a character, since he appears to face his role as a misanthropic intellectual with dedication, even describing in details the ideal behavior of a mourner in a funeral: One should be careful not to overdo the tears (that would be immoral, since the suffering belongs to the relatives of the deceased), but still find a way to be seen by everyone in an attitude of moderate pain. 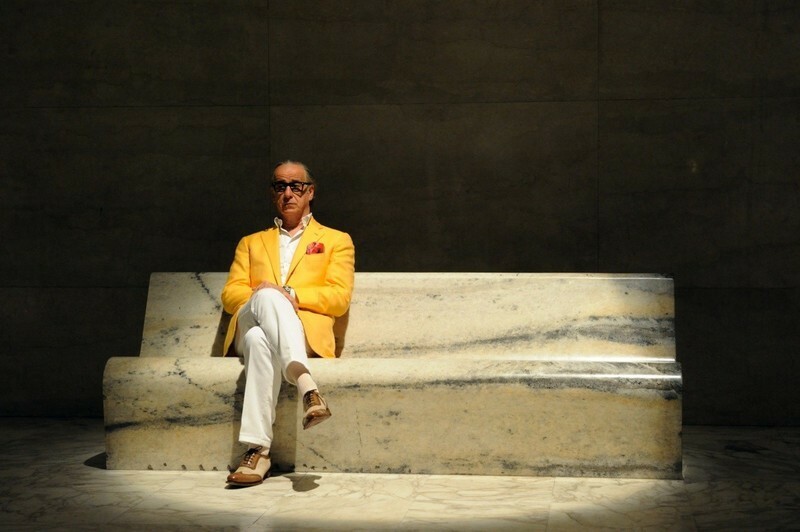 The concept of Art, by the way, is central to "The Great Beauty": if Jep (in a sensitive and amusing performance by the always exceptional Servillo) takes his stance in society as a performance, the idea of artistic expression as a means of extracting beauty from internal chaos becomes a motif. We meet, for instance: the performance artist who—clearly inspired by Marina Abramovic—uses her own body as a tool of expression; the little girl who feverishly throws various colors in a huge screen, covering herself completely with ink; the aspiring playwright who wrote his first play in order to impress his muse; the man who turns his daily selfies in an exhibition about his own aging; and, of course, the 42-year-old woman who refuses to stop doing striptease since she only feels satisfied when on stage. To a greater or lesser extent, all of these people seem obsessed with expressing their concerns through art, even if during this cathartic process they submit themselves to the ridicule of others. Which brings us back to Servillo's character, who’s been paralyzed as an artist since he published his first book and now confesses to himself his failure to find the beauty that he sought. What Jep seems momentarily (or "momentarily") unable to realize is that said Beauty shows up in his daily life through a sunset, a love affair (even if fleeting) or the simple pleasure of walking through his Rome, a place magic enough to offer a chance encounter with Fanny Ardant during sunrise. Or, dare I add, through the simple sight of strangers hugging on the street, of a loved one clumsily eating sushi or through the joy of listening to a song that throw us into nostalgic thoughts. In these cases, the feeling of fullness can be intense to the point at which it becomes unbearable. That is something evidenced by the tourist who, earlier in this lovely film, apparently is intoxicated to death by the beauty that surrounded him. Next Article: Someone Remake "Escape from New York," Please Previous Article: Dismantling Dignity: On "12 Years a Slave"